Tom Harding as Marvel's Venom. Marvel brings a new universe in the film Venom. Most of the box-office success belongs to Marvel Studios. While Spider-Man is linked with Marvel Studios from Sony Pictures. Sony decides to take a different route with Spidey-related characters and build their own cinematic universe. The movie stars Tom Hardy as the title character Eddie Brock who eventually comes into contact with an alien symbiote called Venom. Co-stars include Michelle Williams, Riz Ahmed, Jenny Slate, and Woody Harrelson. Though the film does suffer from script issues. The initial plot is straight-forward with Ahmed’s character trying to improve upon humanity with his technology-based company The Life Foundation. He attempts to try and achieve this goal with the alien symbiotes obtained from a space mission that doesn’t quite end well. Hardy’s character Brock, comes into play, as seen in the trailers, to try and uncover wrongdoings within The LIfe Foundation but instead comes out of the situation with a lot more than he bargained for. The film’s comedy could be a hit or miss for anyone. The action scenes appeared too dark to be fully appreciated. that has its moments of cool factor. Before the film’s release, fans speculated that Tom Holland (Spiderman) would cameo in the film. 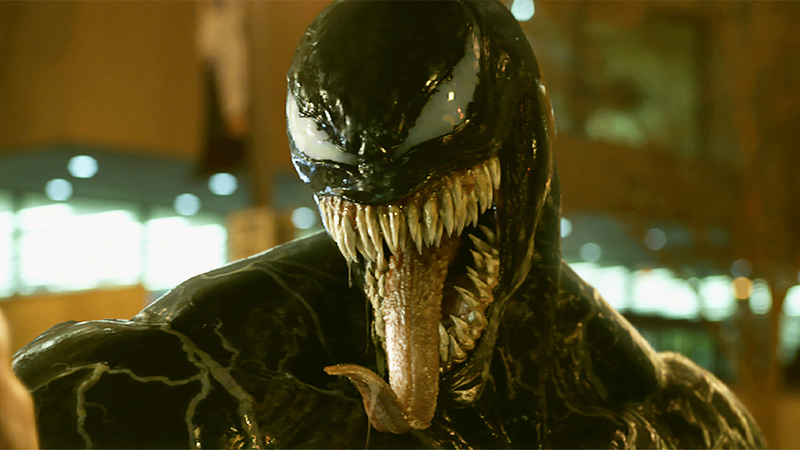 Although “Venom” director Ruben Fleischer has been coy about the character appearing in the film during promotional interviews, it seems that Fleischer was just trying to steer fans away from disappointment. big screen again will have to wait when Sony and Marvel Studios decide to extend their deal and continue to share the Spider-Man character. Although Spider-Man does not have a confrontation with Venom in the current film, a mid-credits scene does introduce another vital character with a close and twisted relationship with Brock. A film suited for a possible sequel, continues to perform well in the box-office. Venom is now playing in theaters everywhere.